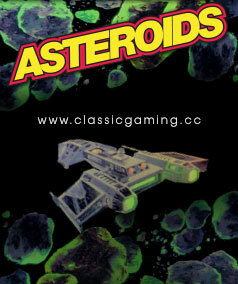 Asteroids is an arcade space shooter released in November 1979 by Atari, Inc. The object of the game is to maneuver your ship through space, dodging and destroying asteroids and UFOs. Flight is different than many games from this period since there is no joystick. To control your craft, you press buttons to rotate your ship, and press your thruster for propulsion. Press your thrusters too long, and you can easily lose control - there are no brakes in this game. Once your ship is heading in one direction, the only way to "slow down" is to rotate your ship in the opposite direction and press your thrusters again. The object of the game is to destroy all the asteroids on the screen. However, when you shoot an asteroid, it breaks into smaller pieces, which must also be destroyed. 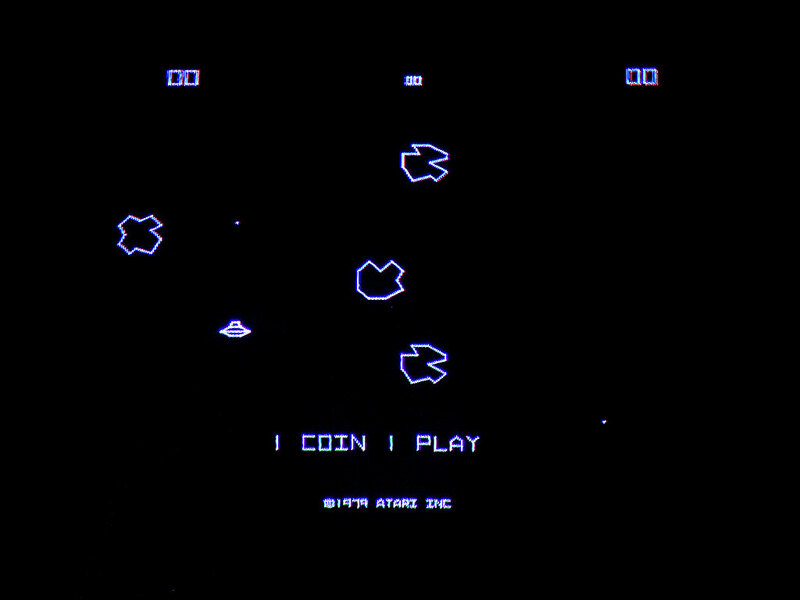 Few games in history are as recognized as Asteroids. The pounding sound effects, simple graphics, and strangely addictive gameplay has permeated throughout all of American society. One only has to watch TV shows like NBC's Freaks and Geeks, or the classic film National Lampoon's Vacation to realize just how entrenched this game has become in our popular culture. 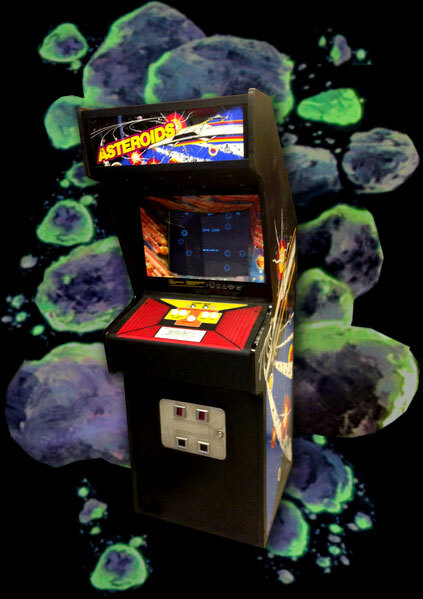 Few games have been copied or ported as often as Asteroids. 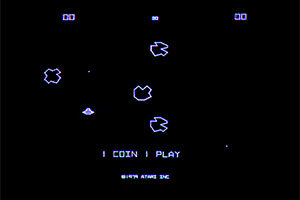 Even today, Asteroids clones and ports are popping up as Java applets, or in current releases for modern game systems. 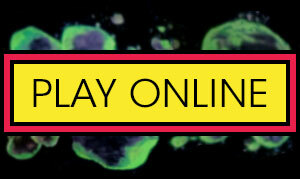 If you want to play a flash version of Asteroids, click here.